While Xbox might have had a pretty good E3 2018 conference, Sony is still riding high at the top spot, despite its recent controversies. 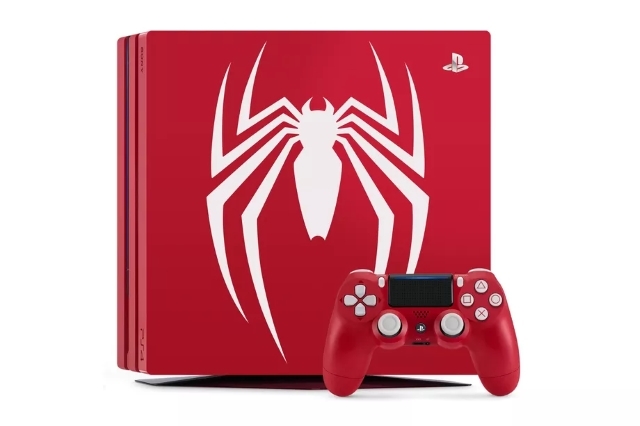 The company is gearing up for the launch of its upcoming game, Marvel’s Spider-Man, and it seems like they have decided to capitalize on this opportunity by launching a special edition of their most powerful console. In an official blog post, Sony has announced a new Limited Edition Marvel’s Spider-Man PS4 pro Bundle, which will be launched alongside the game on September 7, 2018. The special bundle includes a fully customized Amazing Red 1TB PS4 Pro console featuring the iconic Marvel’s Spider-Man spider and a matching DualShock 4 wireless controller. Also, as expected, the bundle also packs in the Marvel’s Spider-Man game on Blu-ray disc, along with some digital content. While the color scheme might seem a bit weird, for some reason, it just works and manages to capture the essence of the Spidey character. That being said, the placement of the Spider logo on top of the console is kind of absurd, considering it is placed in a direction that will not be visible to the user while actually operating the console. This limited edition bundle will be available across the U.S. and Canada for $399.99 USD (MSRP), with Pre-orders starting today. You can preorder the bundle from here.